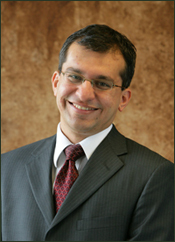 ISR-affiliated Associate Professor Nikhil Chopra (ME) has been appointed as an associate editor on the Editorial Board of IEEE Transactions on Automatic Control. The appointment was approved recently by the IEEE Control System Society's Board of Governors. IEEE Transactions on Automatic Control is a leading journal in the field of systems and control.